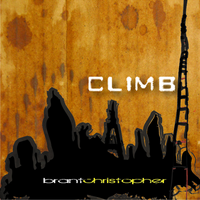 Last month, singer-songwriter Brant Christopher released his new record, Climb. If you know the name or he sounds familiar, it's probably because he spent the last three years touring with his trio Fort Pastor. Climb is raw and well crafted. Christopher's gritty vocals have an easy to listen to warmth to them. When I first listened to the record it was "Criminal" that immediately drew me in. On second listen, I was taken by the complete album. This is one of those albums that isn't about the single. It's an album that beckons you to listen to it as a whole. If you're a fan of acoustic singer-songwriters, Climb is a record to check out. Christopher, like many others in this world, has an active social conscience. He's the Director of Strategic Initiatives as well as the Artist In Residence for the Not For Sale Campaign; a campaign to put an end to global slavery. I don't generally mention stuff like this when writing about artists not because I don't believe in or support such causes, I just choose not to add activism and politics to this forum. But, since 100% of the proceeds from this particular album goes to benefit the Not For Sale Campaign, I'll mention it. The highlights of Climb for me are the bluesy "Criminal," "Oceanside" and "Shoes For Margaret."